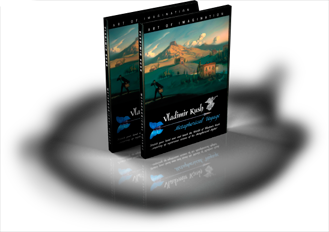 Metaphorical Voyage is now available on DVD and on sale at Amazon.com. The Animated Film "Metaphorical Voyage"
Paintings, limited edition prints, and more information about Vladimir Kush, can be found at the Kush Fine Art site www.vladimirkush.com. Posters of Vladimir Kush art are not currently available anywhere. More information about the other artists can be found at the following links: Jan Lange, Brian Thomas Lambert, Iasos, Robin Silver.